It can be overwhelming and even frightening when someone is first diagnosed with incontinence. Many people assume that the only individuals with incontinence are sick, elderly, and bedridden. However, there are many people who are trying to manage their incontinence while leading their normal lives. The bottom line is that with the help of incontinence underwear an individual can continue working, socializing, and participating in their daily activities. Receive a diagnosis-It is crucial to understand that anyone who is experiencing incontinence symptoms should immediately seek out an evaluation by their health care professional. Incontinence is always a medical problem and many times it is brought on by an underlying medical condition. Symptoms of incontinence should never be ignored. Do not let the fear and embarrassment you may feel keep you from seeing your doctor. Keep in mind that there are many different treatments and the more you know about your incontinence the better the decision you can make when buying incontinence underwear. Once you know what type of incontinence that you have and how severe it is you can choose what type of incontinence underwear will work best for you. Do your research-Today; there is no need to go to the local drug or grocery store to find incontinence underwear. There are many online sites that will allow you to browse, educate yourself, and even sample various types of incontinence underwear before making a final purchase decision. Best of all, most of these online sites provide detailed resources and helpful staff that can guide you in making your selection. Then when you do find the right incontinence underwear for you it can be shipped directly to your home in discreet packaging. Consider your lifestyle-For some people with incontinence they want incontinence underwear that looks and feels like normal underwear. They want to be able to wear it to the gym and other places without feeling self conscious. The good news is that this is totally possible. You can choose from a wide range of incontinence underwear styles that allow you do this and continue on with your normal activities. For others with incontinence they have other medical conditions or mobility issues that will affect how they manage their incontinence. There are styles of incontinence underwear that accommodate these needs as well. If you need incontinence underwear that has tear away sides or provides a heavier level or protection you can find this type, as well. Understand your needs-Incontinence varies dramatically from person to person. Each individual will need to find out what type of incontinence underwear works best for them. 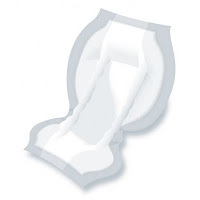 Many people find that they want to boost the effectiveness of their incontinence underwear by wearing an incontinence pad inside. There are certain types of incontinence underwear that come with a pouch that allows the wearer to put in an incontinence pad and then change it when it becomes wet or soiled without having to take off their incontinence underwear. In addition, there are also many styles of reusable incontinence underwear that allow the wearer to wash them and then reuse them. Finally, each person should consider their gender. Today, there are incontinence products for men and incontinence products for women that meet the unique need of each gender.